Clean-up Crew. Tank Janitors. Tank Cleaners. Functionally, it means the same thing to every hobbyist…. 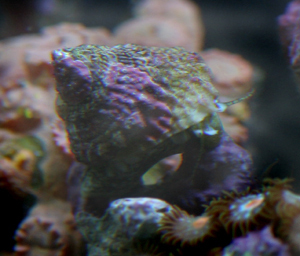 inverts added to your tank to keep it nice and sparkley. So, Great!~ Renee is going to tell you exactly how to stock your tank. Naw! You knew is wasn’t going to be that easy. I hope to give you some things to think about and even some new information for some, to assist you when selecting your animals. Grab your hip waders and lets get us some inverts!! If you’ve been looking online for a vendor to buy your clean up crew from, you’ve undoubtedly run across the complete packages many have up for sale. For the most part, they provide too many critters for the listed tank size and some critters are inappropriate to include in a complete janitorial package. Pass these packages by if they state there are no substitutions allowed. Your inital clean up crew should not include any of these inverts. They should be added as needed and researched individually. So what should you stock your tank with for a basic Clean up Crew? Snails..... and a nice variety of them. 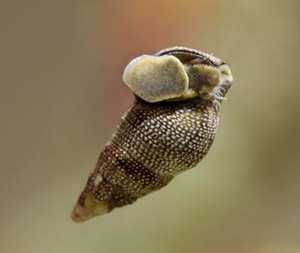 A very loose stocking ratio for snails is one per gallon (not including the turbos, large trochus or conchs). This is the optimum stocking….. no room for adding in the future. Usually people add their crew first thing after the cycle and before the fish. How can you even begin to know what your tank will need at this early stage? So, instead of fully stocking your crew, half stock. If you have a 100 gallon tank you would start off with 50 snails and a mixture of them. 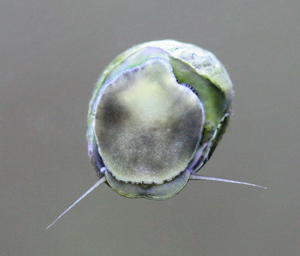 You want the crew to cover all the different nuisance “algaes” and you also don’t want all snails competing for the same food while they starve and another algae grows unchecked. So mix it up! I italized “algaes” because I am going to throw cyanobacteria into this loosely labelled group. So, I know I need 50 snails, but which do I choose? Get a nice variety because snails also live by the saying “different strokes for different folks”. You want to make sure you have all your areas covered. I love Nassarius. They are obligate scavengers on meaty foods….. dropped foods…… dead/dying….. they are with the program. But a barebottom tank won’t cut it with these guys…… they like a nice sandbed. You generally won’t see them until you feed the tank. Then they’ll be popping up from the substrate like a jack in the box. But they won’t do anything for your algae besides reducing the fuel to grow them. Besides cleaning up the leftovers they will have the added benefit of agitating the live sand. Keep these guys stocked a little lighter, at about 1 per 5 gallons, or you will be smothered by a swarm of snails come feeding time. 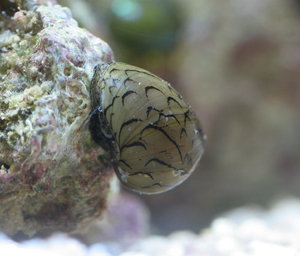 Nerites are wonderful little snails and love film algae. They do a great job on those glass/acrylic panels and some varieties will be seen cleaning the rocks as well. Astraea are very common and effective. Will eat green and brown film algae and may even pick at hair algae. BUT, they require a little maintenance. You have to be willing to go through the daily (and often nightly) “righting” of these snails. 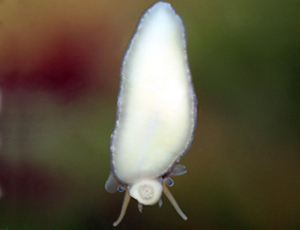 They come from an environment where there is little risk of them being flipped over on their back, so they have not developed the ability to right themselves. Also I do NOT recommend them WITH hermits (who I’ll discuss in more depth later). Hermits are meat eaters…. It’s who they are. None are obligate algae eaters. Add a snail that can’t right themselves….. lunch couldn’t be easier. 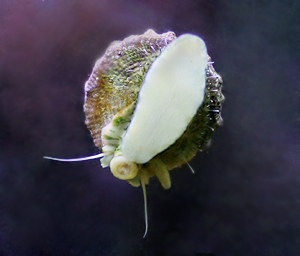 Trochus eat a variety of algae from filamentous to film, and has been reported to have a special adoration for diatoms. 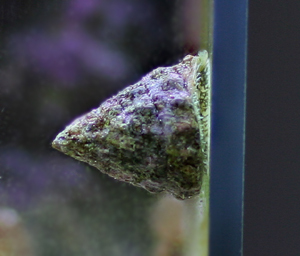 They can be found cleaning any surface of your tank, but will be frequently seen on the glass. 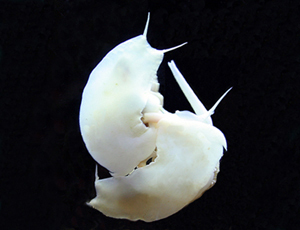 They provide a similar function as the large turbo snail without the size, and therefore, are an excellent addition to your basic cleanup crew. 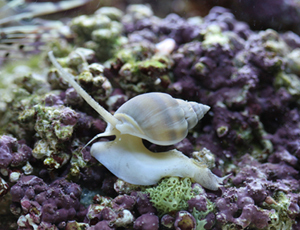 These snails, because of their larger size and appetites, should be stocked at about a ratio of 1 per 2-3 gallons. 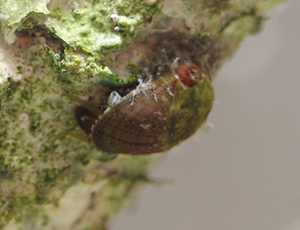 Ceriths will eat film algae and diatoms and it has been said that they will eat cyano. They will graze on detritus but cannot consume filamentous varieties of algae. They can be seen both cleaning panels and cruising over any structure in your tank. They tend to be more active at night and help aerate the substrate when they burrow into the sand. You have to be careful when adding these into an environment with hermits because the shape of their shell is highly valued by the crabs. 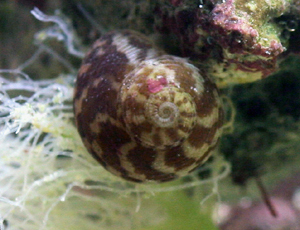 These snails can also be difficult to find at the LFS and tend to be present, not for sale, but as hitch hikers on the LR. Stomatellas are great but are traditionally found as hitch hikers and not for sale. Ask a friend to share and keep an eyeball out at the LFS. You will see them cruising around their tanks. Ask if you can have some. Collonista snails… again, another hitch hiker. These guys are noctural. You’ll see them in the day but check out your tank in the wee hours of the morning. They are everywhere and reproduce well and stay small. Again, ask a friend to give you a starter culture of about 5 to get your population going. And always remember to share with someone else who may be needing a starter culture. 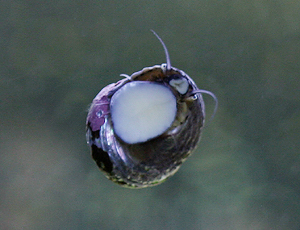 Avoid bumblebee snails. 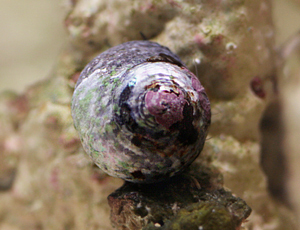 They are whelks and are predatory on other snails and worms. They will clean your sand of beneficial critters. It’s their meat and potatoes. If you see them moving up the glass they are not grazing on the nasty algae…. they are looking for snails and worms. 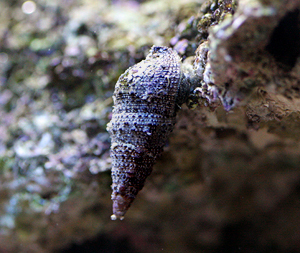 Another snail to avoid is one commonly present in online cleaner packages and also sold individually at the LFS. 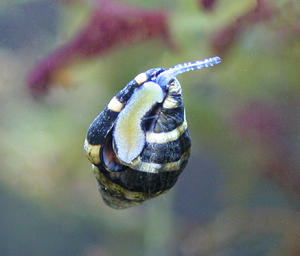 These snails are called margarita snails and are sometimes mislabelled online and at the LFS as turbos*. These critters are from cold water areas and will slowly die in your tank over weeks to months. I said I would address them earlier in the article..... but not that I really want to. In my opinion, there is no such thing as a reef safe hermit. There are safer choices, but none are to be trusted. And with the right variety of snails, you will never need a hermit. How can you trust anything that lives in a cerith, astraea or trochus shell? They are omnivores. That not just potatoes folks, that's meat and potatoes. I know they are listed as herbivores on many sites... I don't know what to say besides these sites are mistaken. So, let's talk about reef-safer hermits. 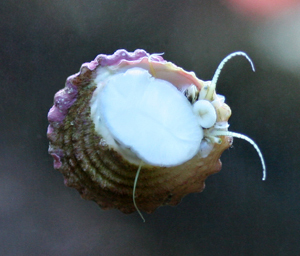 This hermit is frequently seen for sale and tends to be a little more expensive. Eats all kinds of algaes, but remember he is an omnivore. 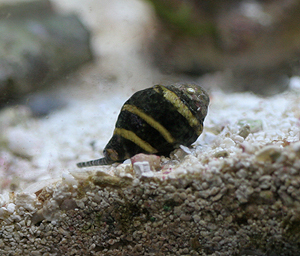 Often referred to as micro hermits, Hawaiian reef crab and Dwarf zebra hermit. They don't grow as large as the others, although it has been reported by some, that they can indeed get quite large and they do have a taste for veggies, but *whispers* "omnivore." They really like the greens but have been known to steal an astraea shell or two. That's it... that's all I recommend, at a ratio of no more than 1 per 10 gallons. 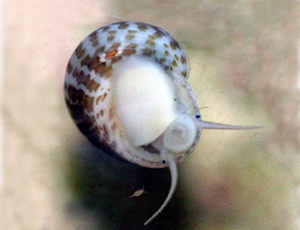 Just remember to leave empty shells around on the sandbed for them when they get in the mood for a change; it reduces the chances of the hermit eating a snail to get to their shell. Buy only what you need and what is approproate for your tank. They are only one part of solving an algae problem and are more for maintenance than a band-aid to a problem.